Readers will recall Royal Mail's warning that delivery of the new tariff stamps to collectors would be delayed but that stamps (but not presentation packs) would be in Post Offices by the issue date. 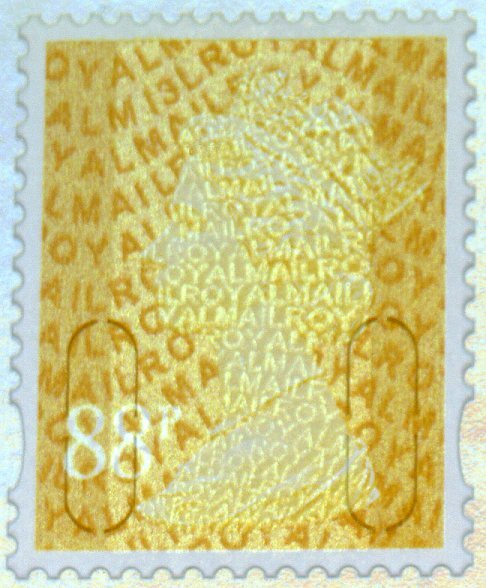 We later found this was because of De La Rue's production difficulties associated with the move from Dunstable to Gateshead, difficulties which saw production of the 78p, 88p and £1.88 stamps sub-contracted to Walsall Security Print. De La Rue printed the new Signed For stamps. Now that the Presentation Packs are available, we find that that they contain stamps which are not the same as those printed by Walsall SP, which almost certainly means that they were printed by De La Rue. How can we tell, from single stamps? The Walsall stamps have a year code of M13L - those in the pack have a year code - like the Signed For stamps - of MA13. We don't of course, know the printing dates for the De La Rue printings yet but will report them as soon as we do. Meanwhile, can anybody tell us which stamps are on Royal Mail's official FDCs? Thank you all for the contributions, we now know that Royal Mail's official FDCs have the De La Rue printings of all stamps. The presentation packs were available from Friday 5th April, which ought to make that the official first day of availability of the 78p, 88p and £1.88p despite the 27 March date that will be on those covers. The stamps on the FDC received here are noticeably different to those in the pack. 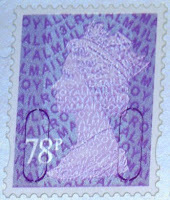 The text in the iridescent layer is noticeably 'blotchier', reminiscent of the late printings of the 2009/10 stamps. On most values the M of MA13 is almost a rectangle of dark, with very little definition. The Walsall and Signed For stamps, of course, were available on 27 March, so those should be more collectable. Anybody doing double-dated covers? 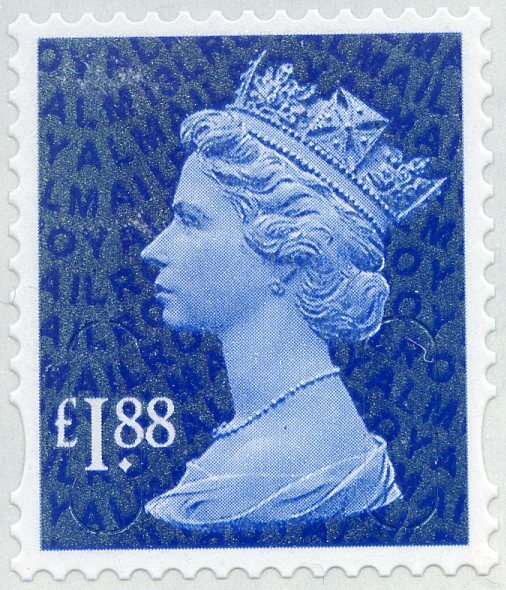 It is now clear that some Tallents House subscribers for single stamps are receiving De La Rue (cut) examples whilst others are receiving Walsall examples. This may be because the DLR stock left over from producing FDCs and Presentation Packs is now all exhausted, or it may just be that the stock of singles is mixed and customers will get one or the other or a mixture. It seems that at this stage there are no sheets of De La Rue printing available. De La Rue sheet printings are now appearing in post office branches. The £1.88 (and £1.28 MA13) were reported in mid-April, the 88p (and £2 MA13) at the end of the month. according to Royal mails official website the new definitives on cover are printed in gravure by De La Rue Security Print, each of the new definitives has phosphor bars as appropriate and is self adhesive. The standard definitive measures 20mm x 24mm with a perforation gauge of 15 x 14. The standard Royal Mail Signed For™ definitive measures 24mm x 24mm with a perforation gauge of 15 x 14. The large Royal Mail Signed For™ definitive measures 34mm x 24mm with a perforation gauge of 14 x 14. Each perforation gauge includes an elliptical perforation on each side replacing three perforations. Thank you. That's the official line; Royal Mail also say that the stamps sold at the counter are printed by DLR but we know that they are not. I forgot when I posed the question, that the FDCs are not yet being delivered by Tallents House. But the question stands - what is actually on the covers? We will know soon! Not always the case with Royal Mail, it is "not what you see on the tin, but whats on the tin when you get it. 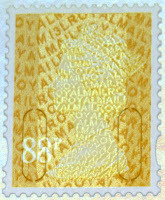 Royal Mails Official FDC's bear the 'MA13' coding on the 78p, 88p & £1.88 defintives. Many thanks for providing so much useful information! I have just received my new definitive issue from Tallents House. As well as an FDC and Presentation Pack, I receive a cylinder block, and a single. The cylinders are all showing M13L as expected, but the singles all have MA13, just like the FDC and presentation pack! 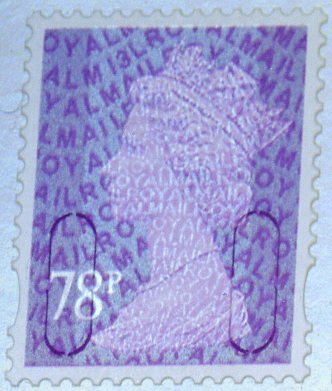 If you compare the stamps on the FDC to those in the pack I expect you will find, as I did, that the iridescent text is very 'blocky' as happened on the late 2009/10 printings as the cylinders wore. This is most noticeable with the M of MA13 which is nearly a solid rectangle, easiest to see on the 88p. This suggests that the FDC and presentation pack supplies may have come from separate printings. Well, unlike previous reply, I just opened my singles from Bureau and they are M13L. ...........that's the 88p etc, the RMSF are MA13. Just opened my singles delivery. All 5 stamps are MA13. Obviously bureau send out whatever comes to hand! Signs of coherent organisation within RM are hard to find! It is logical for the specially printed coils to be used on FDCs first, then cut for Packs, with overs used for those who wanted singles. When they are finished then perhaps it is time to use stamps from ordinary sheets? I really do wonder about the Bureau. Their "First" pamphlet states that the stamps will be DLR with PVA gum - I get Walsall S/A!!! I hadn't noticed the reference to PVA - there haven't been any PVA for years! I love all this - makes collecting so much more exciting! And more stamp varities. My singles are MA13 and colour blocks are M13L. 78p printed 05/02/13; 88p printed 04/02/13 and the £1.88p printed 07/02/13. The England 88p is dated 14/01/13. No stock of the new signed for stamps though, only old stock. So which ones will be the rarest? Has anyone actually reported the new MA13 £2.00 stamp as being brought over the counter at a Post Office? 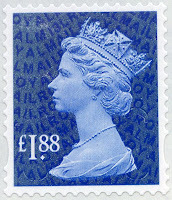 This stamp is now also in new supplies of the High Value Definitive presentation pack. Sorry my mistake, these are not available, I was misinformed.